You can make use of exclusive cheap Coca-Cola offers and special discounts so that you can stick with your financial plans. The Coca-Cola deals here are updated and our community of enthusiastic deal hunters made sure that you can use the voucher codes. Our supportive team of deal hunters has listed the latest cheap Coca-Cola deals and special offers available for you. 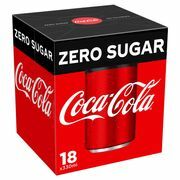 Get access to cheap yet reliable Coca-Cola products that popular UK retailers are selling on the internet. You can get them from Argos, ASDA, Tesco, and other reliable UK retailers. Coca Cola Bottles on Offer. Any 2 for £2.89. All the best Coca-Cola deals this week in the UK! Coca-Cola is no doubt the most popular soft drink in the world and is one of the most recognisable brands in history. The brand was created in Atlanta, Georgia in 1886 by Dr. John S. Pemberton. The product was first introduced as a fountain beverage at Jacob's Pharmacy. This was made by mixing together Cola syrup and carbonated water. Coca-Cola was patented in 1887 and they are registered as a trademark in 1893. In the following years, the drink was being sold in every territory in the US. Coca-Cola Company began franchising bottling operations in the United States in 1899. The company then expanded internationally in 1906. The product was originally made as a patent medicine but today, it has grown to be the most dominant soft drink in the world. The formula of Coca-Cola still remains a secret. But there are other varieties of the experimental creation of recipes that have been publicly published. Other than the original Coca-Cola soft drink, they also have other products that are distributed and sold all over the world. Some of their famous products include Diet Coke, Coca-Cola Zero Sugar, Coca-Cola Cherry, and Coca-Cola Vanilla, among many others. Our massive community of bargain hunters are always on the lookout to find the best Coca-Cola UK sale, special offers, discounts, and price drops from major UK retailers. We also have a team of money-saving experts who regularly share essential tips and tricks that will be able to help you save on your instore and online shopping. There are Coca-Cola soft drink products that are packaged in bottles and cans that you can purchase at very affordable prices. Rest assured that all the Coca-Cola products that you will receive are of high-quality standards. Expect your orders to be delivered at the comfort of your own home. One way of saving more money on your Coca-Cola purchases is if you buy in bulk or in volume. There are Coca-Cola soft drink bundles that are available for you to take advantage of. Get great value for your money on all your buys. Most online UK retailers have sale events, seasonal clearances, and flash sales where you can get up to 30% off on a wide selection of Coke products. There are even 3 for 2 offers that can provide you with a lot of savings as well. Watch out for their Black Friday and Boxing Day deals where their prices are reduced even further. If you want to maximise your savings, make sure to use the latest Coca-Cola discount codes we have here. 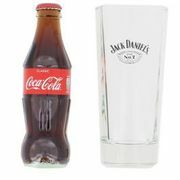 We also have Coca-Cola voucher codes where you can get freebies or free shipping. Remember that the deals and special offers we have here are available for a limited time only, so make sure to take advantage of them right away before they expire. Do not forget to bookmark this page and never miss out on fantastic discounts, amazing savings, and everyday low prices from your favourite online UK shops! Coca-Cola. This is the biggest selling soft drink in the world. It was developed in 1886. It is a mixture of Coca-Cola syrup and carbonated water. The recipe of Coca-Cola remains a secret. This soft drink is sold all over the world. Sprite. This drink was introduced in 1961. It is the best selling lemon-lime flavored soft drink. It is ranked as the no 3 soft drink in the world. Fanta. This drink was introduced in 1940. This is the second soft drink product that the Coca-Cola company has developed. Consumers love it because of its fruity taste. Fanta Orange is the leading flavour of the Fanta soft drink product line. Diet Coke. This drink was first introduced in 1982. It is a sugar- and calorie-free soft drink. Diet Coke or Coca-Cola light is one of the most successful soft drinks in the world. It is a perfect drink for health-conscious individuals who still love to consume soft drinks. 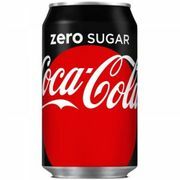 Coca-Cola Zero. Like Coca-Cola light, it is a much healthier alternative since it contains zero sugar. It still offers the same great Coca-Cola taste. Coca-Cola Life. Coca-Cola Life is a reduced-calorie cola. It is sweetened by a mixture of stevia leaf extract and cane sugar. Stevia is a zero calorie sweetener. Minute Maid. The Minute Maid Corporation was bought by The Coca-Cola Company in 1960. It is a delicious orange drink that is full of nutrition and has a delicious taste. Ciel. It is a non carbonated purified bottled water. It has been introduced to the market in 1996. It became available in Mexico in 2001 and was called Ciel Mineralizada. Powerade. This is a thirst quenching drink that is a combination of electrolytes, carbohydrates, and other ingredients that fuels the body with energy. It is also effective in hydrating the body.